So much for keeping politically-charged ire out of Halloween this year. 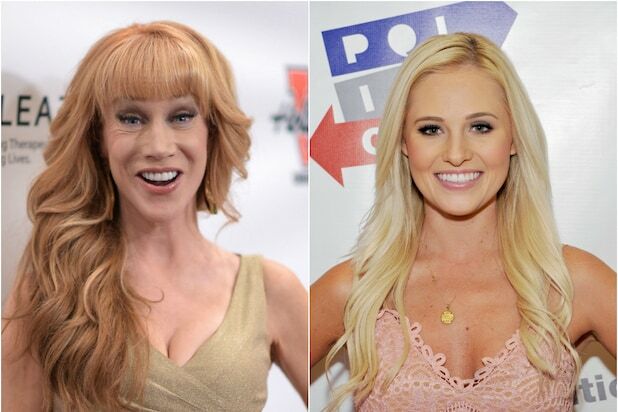 Kathy Griffin is firing back at conservative pundit Tomi Lahren after Lahren decided to dress up as “Trump Derangement Syndrome” for Halloween. Lahren on Wednesday morning posted a photo of her recreating Griffin’s notorious photo, in which she held a bloody mask of Donald Trump as though he were decapitated. Lahren wore a bright red wig to portray Griffin’s hair and held a crazed clown mask. Griffin went on, saying that she would gladly return the favor to Lahren this Halloween if she weren’t on tour. 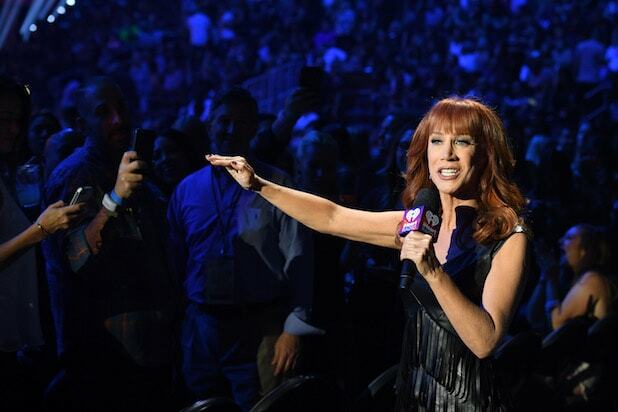 “I’m busy on tour right now or I’d dress up as you: a dumb, racist, and talentless hack,” Griffin tweeted Wednesday. Lahren replied to Griffin, saying how she should’ve amended her Halloween costume, which Griffin in turn retweeted. The photo in question brought the comedian and former reality TV star’s career to a screeching halt, but Griffin has been staging a comeback as she remains very vocal on Twitter, despite often being a target of many on the right. Griffin also previously said she had received an interview request from Lahren’s camp, an opportunity she didn’t exactly welcome with open arms.